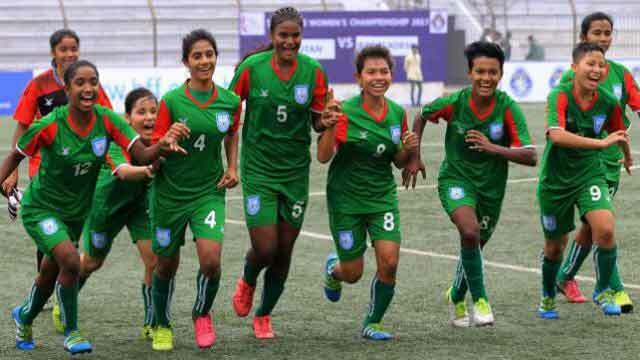 Dhaka, Dec 21 (Just News) : Bangladesh u-15 girls teamBangladesh girls defeated India 3-0 in the last group match of SAFF Under 15 football tournament on Thursday. Anuching Marma, Shamsun Nahar and Monica Chakma scored one apiece at the Birshreshtha Sipahi Mostafa Kamal Stadium to hand the hosts the victory, their third win as many games. It was a dress rehearsal of the final, which the teams will play on Sunday. The win meant the hosts won all.